I smile to my self as I walk into my house. "Mom??" I yell and walk into the living room and see her sitting on the couch. "You have fun?" I smile "Yes mom I had fun.." I say taking a seat beside her she sat up and grabbed my hand. 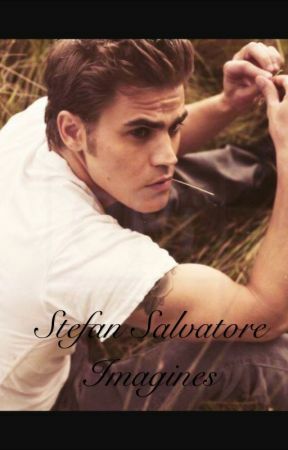 "I want you to know that I like this boy... Stefan is it?? " I nod and smile. "Yea that&apos;s his name..." She smiled "Well I like him... He&apos;s full of life... And I can tell that he really likes you..." I nodded and we were interrupted by a knock on the door and I jump up and open the door reviling my boyfriend Stefan and I blush knowing he heard our whole conversation. I look at the floor and he says. "Well you left your phone in my car... Thought you might want it.." He said smiling. I nod taking it. "Yea thank you...." He looks at me and nods and turns to walk away and then turns back to me. "Well I&apos;m happy your mom likes me... I mean that&apos;s a score.." He said smiling and I look at the floor smiling and blushing like crazy. "Yea.. Me too" and I look back up at him and he dashed to me and kissed me on the cheek and walked away slowly. "See you tomorrow..." I nod and whisper. "Yea... Good night... Love you.." And he smiles and said "I love you too.... Good night..." And I closed the door and my mom was standing right behind me the whole time.. "You guys are really something.." She said smiling and walking up the stairs to her room and I smile to my self... My mom actually likes him... Yay!! !